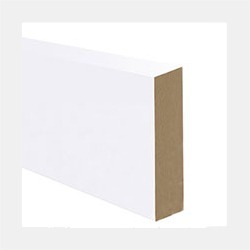 FAUS manufactures a wide variety of jambs and board covers manufactured with water-resistant MDF support. 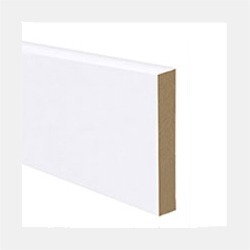 This complement used to cover the junction between the frame of the door and the wall is one of the elements that stands out in the door and given its visibility is necessary to be high quality and have a wide variety of sizes and widths. These jambs are made with different dimensions and designs, existing those that are totally flat and those that are carved with a classic pattern. 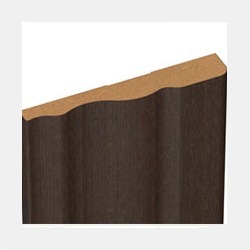 The measurements of these complements are varied and cover lengths from 2,250 mm to 2,700 mm, widths of 45 mm, 70 mm and 90 mm and thicknesses of 9 mm and 15 mm. Ideal measures to perform any installation, project and assembly. In addition, they can be found in various shades such as white, natural oak wood tone, cherry, Daimiel beech, Sapelly Nevada, raw and gray aluminum, depending on the selected design. In this way any design can be completed, matching the jamb or tapajunta complement to the selected floor or base design, achieving a perfect balance between decoration and design and allowing customers to choose from a multitude of decorative options. FAUS jambs and board covers stand out for their ease of assembly, since they can be placed quickly and easily, although it is always preferable to have the help of a professional so that the result is perfect. 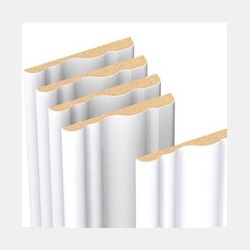 To install the jambs, it is necessary that the area is clear and free of dirt and of course, before proceeding with the installation, take the necessary measures to be able to cut the jambs with these dimensions if necessary. If previously there was another complement it is important to make sure to remove the nails from the pre-frame and the remains of mortar or plaster that may remain in the place of placement. 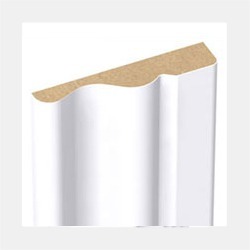 Once the area is secured, it is fixed with an adhesive product, preferably quick drying, finishing the assembly with staples, needles or nails. Finally, to finish with a completely professional finish, the marks left by staples or nails, are mashed to be completely invisible. In this way the result of the installation will be excellent and the product will shine with all its splendor. All this assembly can be done for a moderate price, offering exceptional results and completely changing the image of our doors and windows.